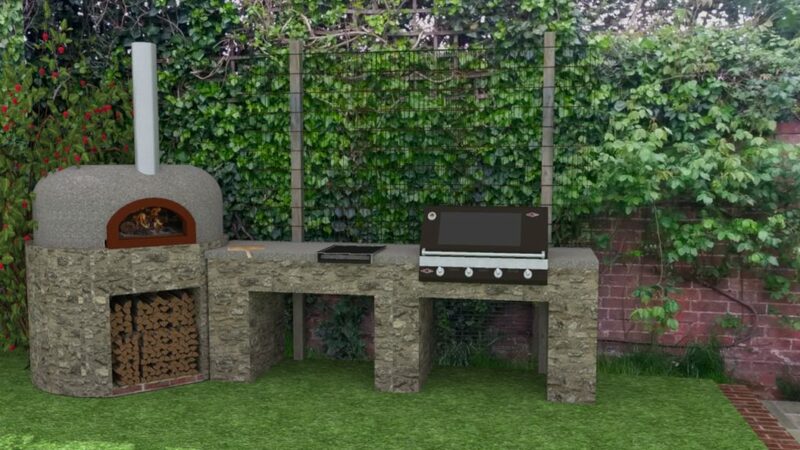 We were approached in May 2016 by young busy couple who wanted a rustic informal outdoor cooking space close to the house for ease of use. 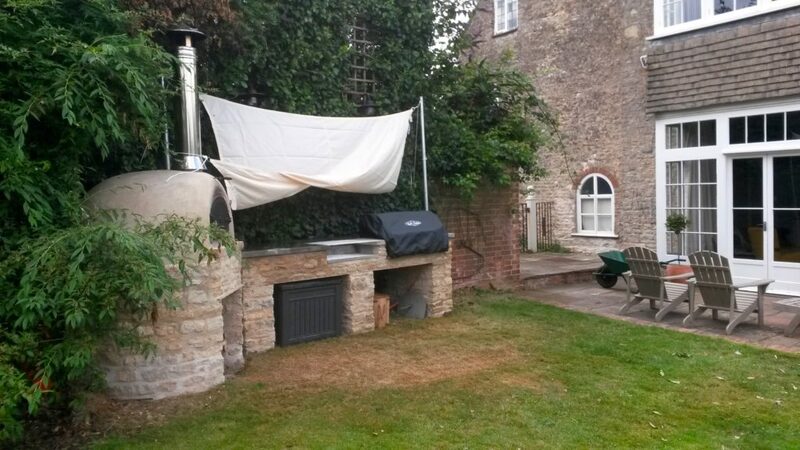 Situated in the lovely village of Hethe in Oxfordshire, we took cues from the weathered Cotswold stone of the surrounding area and built them a simple cooking area tucked into existing planting and backed by an old brick wall. 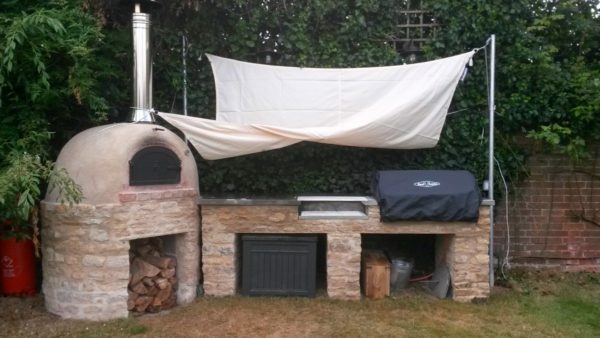 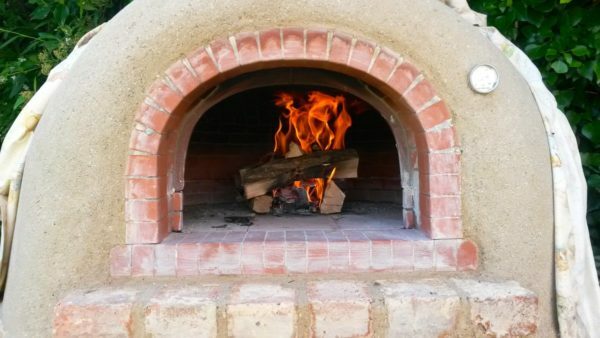 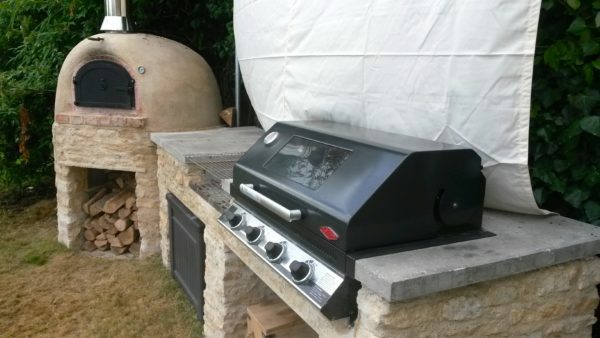 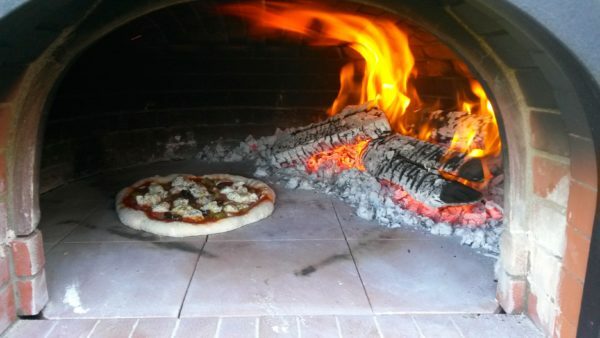 We used a stand alone Four Grand-Mere raised 800 brick oven with adjacent Beefeater gas BBQ and charcoal grill set in a concrete worktop. We also installed a demountable sail structure so the clients can cook under cover at short notice. The area is now regularly used especially at weekends when they are back from their demanding London jobs.